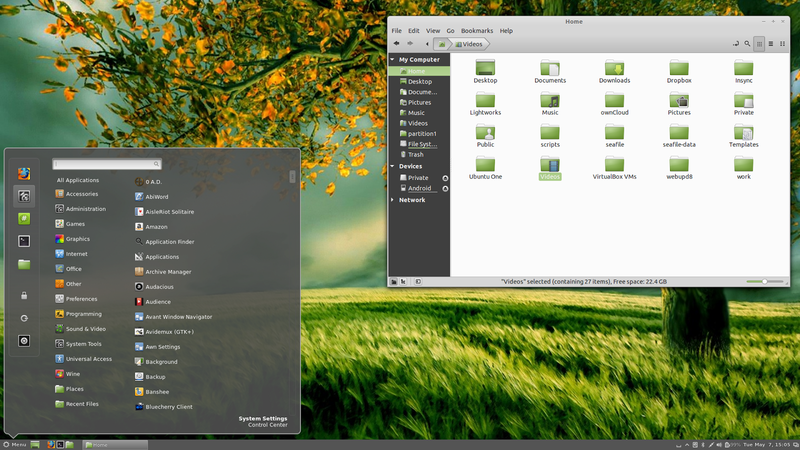 Cinnamon, the desktop environment used by default in Linux Mint, has reached version 1.8, getting its own Control Center, screensaver and more. 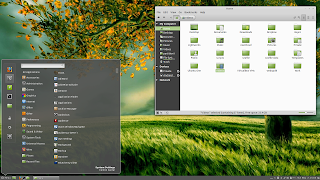 Cinnamon is a GNOME Shell fork which tries to offer the layout and customizability of GNOME 2: by default there's a panel at the bottom (but optionally, you can also get one on top like in GNOME 2) that supports autohide, it supports applets, a classic system tray and more. Let's take a look at what's new in the latest Cinnamon 1.8! Sorry for the fonts in the video, it's an YouTube bug because the fonts look ok in my original video. The fonts don't look like that when using Cinnamon. Cinnamon 1.8 no longer uses gnome-session for fallback which has advantages such as the ability to restart Cinnamon after a crash or the use of a wrapper which allows Cinnamon to restart itself after potential crashes. This should also fix the issue with Cinnamon not working on some hardware which was actually capable of running it. Cinnamon 1.8 comes with its own Control Center, so there's no longer the need to use GNOME Control Center. This is especially useful if you have installed multiple desktop environments: features that are GNOME Shell or Unity specific don't show up in Cinnamon Control Center, so you should now have a more clean, less confusing settings app. By default, Cinnamon Control Center displays only some of the system settings and for more advanced settings you must click the "Switch to Advanced Mode" button in the lower left corner. The desklets can be set to snap to a desklets grid so they align nicely, with configurable grid width and users can also select if the desklets should use a border, border and header or no decoration at all. In my test, installing themes didn't work for some reason, maybe because the available themes aren't compatible with the latest Cinnamon 1.8 yet, but I was able to successfully install applets and desklets. See how to install Nemo file manager in Ubuntu. updated default applets, many fixes, etc. Bumpmaps, a feature that was supposed to be added in Cinnamon 1.8 didn't make it unfortunately as it's not yet fully ready. Cinnamon 1.8 will be available by default in Linux Mint 15 (Cinnamon Edition - RC should be out mid-may) and it should also be available in the "Romeo" repository for Linux Mint 13 and 14 soon. Once installed, log out and select Cinnamon from the login screen.